Phillips Pet Food & Supplies, a leading pet product distributor serving the independent pet channel, will bring SnugArooz dog toys to 10 of its 15 U.S. distribution regions. By mid-April, SnugArooz will be in Phillips’ distribution centers in California (Anaheim and Sacramento), Florida, Indiana, Iowa, Ohio, Massachusetts, Michigan, Pennsylvania and South Carolina. SnugArooz plush toys are crafted to squeak and crinkle and include a llama, octopus and unicorns. The knotted toys are engineered to endure interactive play, such as flinging, tugging and chewing. All products are created from safe, non-toxic materials with durable construction. 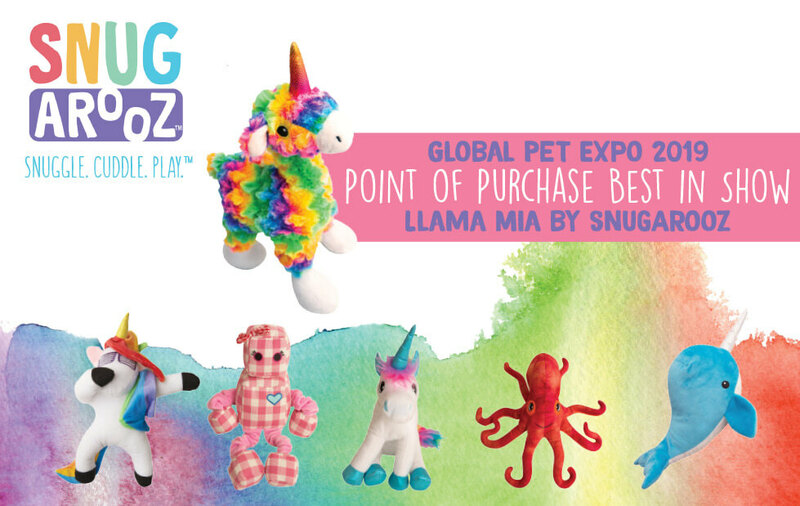 The imaginative toys are colorful and support the brand’s mission: Snuggle. Cuddle. Play. To order SnugArooz products, visit Phillipspet.com, call 1-800-451-2817 or connect with your Phillips sales team member.